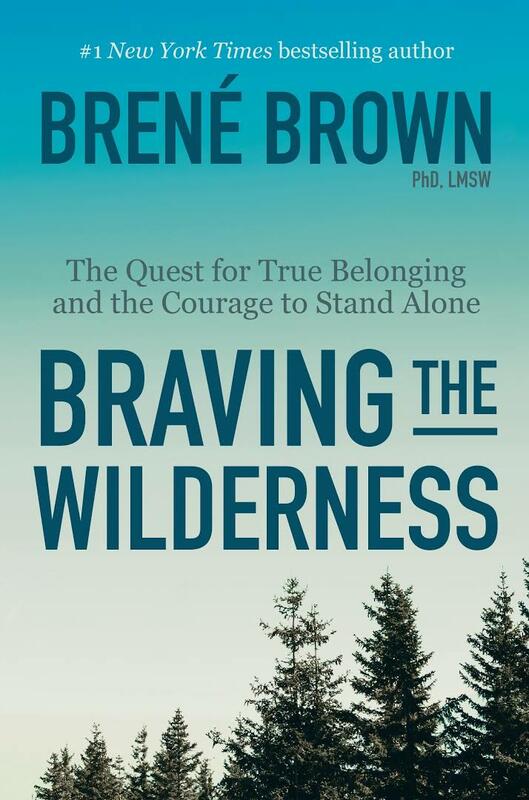 A few weeks ago, I started to read the brilliant and powerful book from Brené Brown: “Braving the Wilderness: the quest for true belonging and the courage to stand alone”. If you haven’t read it, go and buy it today. It is such an important and precious read for everyone who wants to grow up/old in a meaningful and mindful way and take charge of their life with courage. I feel it is especially important in a world that feels more and more divided every day. That book is a pure gem and talks to me and inspires me so much. Some parts gave me goosebumps and were received deep in my heart. Here is her definition of true belonging: “it is the spiritual practice of believing in and belonging to yourself so deeply that you can share your most authentic self with the world and find sacredness in both being a part of something and standing alone in the wilderness. True belonging doesn’t require you to change who you are; it requires you to be who you are”. Before writing on a subject, Brené Brown always spends years studying the topic, doing research and collecting data. So in her definition I feel she has extremely carefully chosen her words and I think this is why they are so powerful. Growing up, I never felt that I was belonging to anything or anyone let alone to myself. I definitely felt a little lost, lacking directions and instructions on how to grow up and deal with that big thing that life is. So instead, I became very good at fitting in. Fitting in at school, at the university, with my friends, with my boyfriends, with my family… So many times, I felt out of place but I was still trying to fit in hard. You know, so I can be accepted and be liked. I became so good at fitting in and pleasing others that I wasn’t listening or even trying to understand what was really important to me and what I needed to blossom. I didn’t realize it at the time, but I think the day my husband and I started to go on a date was the first time I made a step towards what I really needed and wanted. I was 21 years old. It was the first time I asked someone out. To that day, It’s hard for me to believe that I did it because it was so unlike me. But I guess my heart, my gut and my intuition spoke a bit louder than my brain that day. And I’m so glad they did because this relationship allowed me and is still allowing me slowly but surely to become more and more who I am. And this thanks to my husband’s support and encouragement. “True belonging requires you to be who you are”. Such a simple statement and yet how many of us know who we are and if we know, how many of us have the courage to live by that? It does take a lot of courage and may feel like a very lonely and overwhelming path sometimes but when we finally allow ourselves to shine and to be true to ourselves; the feeling of peace, ease, satisfaction and strength is tremendous. I had/have some glimpses of that feeling in my life and those are so powerful. But doubts and fears keep coming back knocking on my door and it requires a lot of strength to not let them in. Often I fail, but I always get back on my feet and find the strength within to stay on my path. The practice of yoga and my introspective work are giving me extremely precious tools to observe, feel, reflect, digest. Trust and faith are also my allied; they guide me to become a better version of myself and speak my truth. Brené Brown was able to express so clearly what I felt for a long time but I didn’t have the words to articulate it. I want to thank her for all the important work she does and being such an inspiration.